So far in the Custom Shop series, we’ve asked luthiers about building custom bass guitars. This time we got the chance to talk to Ben Verellen to look into a perhaps lesser-known market: custom amplifiers. Based in Seattle, Washington, Ben Verellen of Verellen Amplifiers grew up playing bass and eventually decided to go to school for electrical engineering. Through a class project, he realized his passion for building amps and went on to make it his business. The company’s flagship product is the Meatsmoke, a 300-watt all-tube bass amplifier that Verellen and his assistant Mike Allen hand-wire, assemble and test in-house. Though they can be ordered with standard options, most of the amps that leave their shop are built-to-order with special features ranging from functional to bizarre. How did you get into building amps? I studied electrical engineering at University of Washington before I did any serious tinkering. My first amp started out as a school project that ended up with Brian, the bass player of Russian Circles, who told some other people, who then ordered some for themselves. It just grew from there. When was that, and when in relation to how long you’d been playing? I started building when I was 27, in my last couple years of engineering school. I started playing music when I was 13. I guess I had a few years of doing music before I started thinking about designing amps. So did you go to study electrical engineering with amps in mind, or did you just end up putting your passions together? I knew I wanted to do something related to music when I decided to get into engineering, but it wasn’t until my last couple years that the tube amp thing came together as a real idea. What’s the concept behind your designs? We’ve done over 270 amps, and I’d guess about 80% of those are completely unique custom projects. So each design is based on a concept the customer and I have worked out. We’ve done everything from 10 watt single ended practice amps, to 300 watt bass/guitar hybrids. Crystal clear clean amps with spring reverb to high gain shredders with effects loops. We do everything hand-wired which, aside from being a real sturdy way to build an amp, allows us to think on our feet as we’re building each design. You play guitar in your band Helms Alee, so what made you create the Meatsmoke? Bass was my first instrument. I played in a band called Harkonen for 10 years. So bass (especially distorted bass) was a sound I knew well. The Meatsmoke has always been our bass amp design. 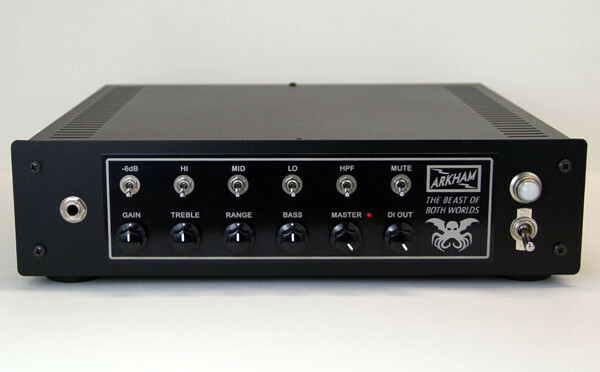 It’s evolved over the years from a 200 watt single channel beast that could get real gritty at the top of the dial, to a 300 watt dual channel (clean and overdrive) that has caught on with almost as many guitar players as bass players. It just seemed like there were no hand builders doing real high power stuff, and so we figured that could be a place to do something different. Dana, who plays bass in Helms Alee is playing a Meatsmoke, and I play guitar through a pair of odd ball amps. Just real loud and clean tube amps with lots of low-end, so that they can take my pedals real well. I think spending over half of my life playing in touring bands gives me some insight into the kind of abuse that amps go through on the road. It also exposed me to what’s out there. I’ve taken lots of opinions in from musicians I respect who I’ve met, and those pop up when we’re making design decisions. What is the most important feature of an amp to you? 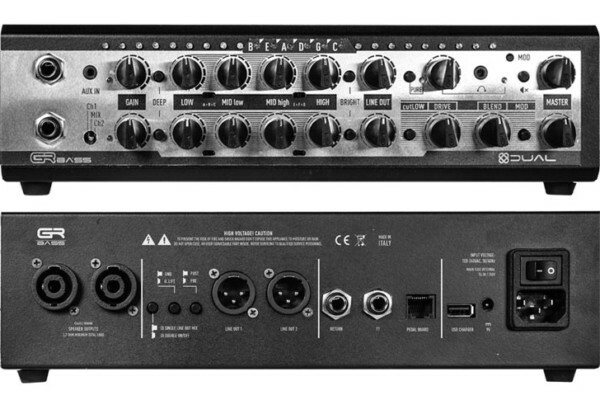 I worry about an amp’s features in this order: reliability, then sonic quality (frequency response, distortion character, etc. ), then aesthetics. Why only all tube designs? For a couple reasons. First of all it’s a beautiful sound! Secondly, being a custom shop, tube amp design is conducive to hand wired turret board construction with discreet parts, so it allows us to do customized amps and fine tune them on the fly really quickly. It wouldn’t be realistic to have a pcb manufactured, tested, debugged, and re-manufactured for every project we do, and doing solid state would demand that. What’s your take on the new compact head trend? I think that it’s incredible what they can do with class D stuff. I haven’t had a lot of first hand experience with those amps, but it’s definitely a cool idea. I firmly believe they’ll never replace the sound of a tube amp with that technology, though. How are musicians supposed to complain about loading in if their amps only weigh 10 pounds? Some of your cabs are made in partnership with Monolith Loudspeakers. How did you guys hook up? Wade [of Monolith] is an old friend of Mike [Allen]’s and he’s put up Helms on tour a couple times. We hit it off as we’re both fans of loud quirky old gear. Wade’s working on a new product that’s a solid state preamp based around the Sunn Betas. That primitive solid state stuff has such a cool character. It’s not trying to be a tube amp. Keep your eyes peeled for that. [editor’s note: Check out the Monolith MAGMA 1.0]. How many bass amps have you built to date? I talked a little about that above. Aside from that, the construction has come a long way. Sturdier pre-machined chassis (we used to drill press EVERY hole… ugh), the design has been trimmed down for simplicity and more pure path from guitar to speaker. For example, compare the Meatsmoke’s 3 preamp tubes to the 8 in an SVT-VR, which doesn’t have a footswitchable overdrive channel, that’s more places for things to go wrong. Tell us about your process in creating an amp. First the customer and I have a conversation about what they’re after. I sit down and draw a sketch, a schematic, and a basic chassis layout. Parts are ordered, in the meantime we’re machining the chassis and silk screening the face plates. Components are mounted to the chassis, then the amp is wired up, tested, and fine tuned. While all of that’s going on, my partner, Mike, is dovetailing together a box, staining it, and taking it to the finish shop we use. Four to six weeks from ordering, amp meets box, it’s burned in for a day, and shipped. What’s the craziest thing you’ve been asked to incorporate in one of your amps? 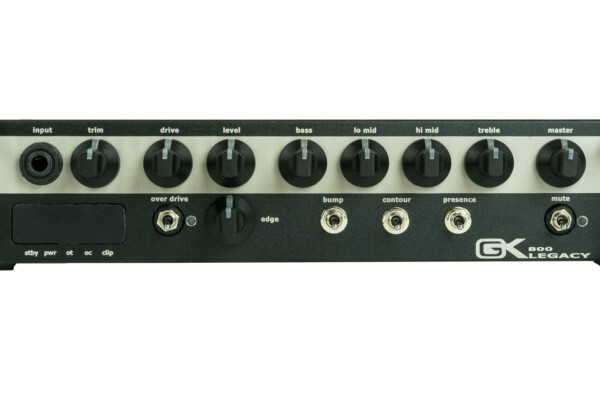 We did an amp recently called “BROAD GAUGE” which is basically 2 amps in one box, designed to receive the stereo out from a Rickenbacker bass into a 200 watt bass amp as well as a 50 watt guitar amp (with an effects loop, and footswitchable overdrive boost). Makes some wicked Lemmy bass. That was a bear of a design and build, but the customer loves it. Is there anything you won’t do on an amp? Probably, but we can usually be persuaded to jump into just about any bizarre idea. Any plans for new products? Working on an idea for a stereo guitar/bass amp that’s dialed in to be a perfect platform for effects pedals. Just a real basic amp with lots of headroom so that the pedals can do their thing without a lot of coloration in the amp, but just enough of that tube-y thing going on. Anytime we try to steer things toward some standard thing, we get more custom orders. At this point, custom seems to be what sets us apart from other builders, so we’re trying to embrace that. It keeps the job interesting too. Seeing bands play our stuff is the best part by far. When a player is getting into what’s coming from their amp, and you can see people enjoying what’s coming off the stage, you feel like you’re a little part of that whole thing. It’s a really rewarding feeling. It’s a slippery slope, but a rewarding one. School helps, but is absolutely not necessary to understand this stuff. Take forum talk with a bag of salt. Take us through the building of bass amp. If you don’t mind, dual input, one side with the fender type volume control vtb, and baxandall approach.